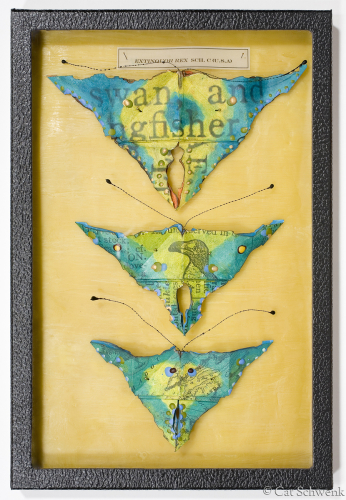 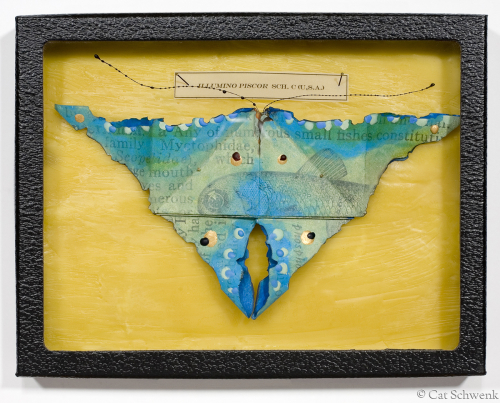 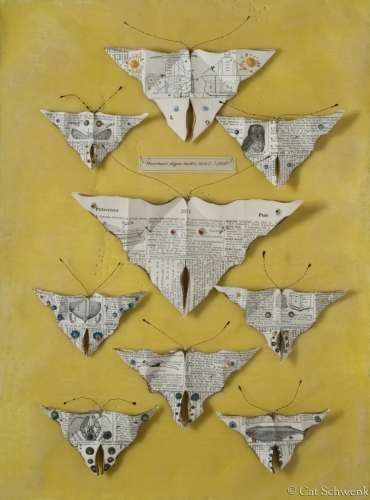 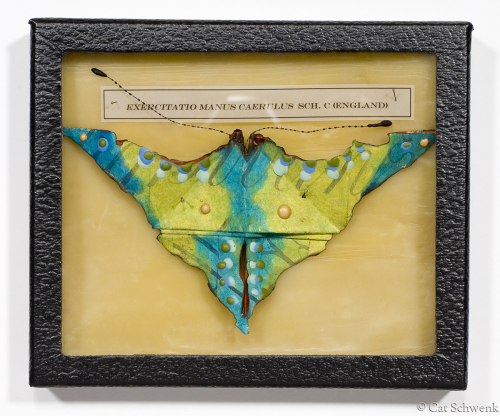 Moth Specimen Box original constructed of found paper, encaustic, beeswax, canvas & wire. 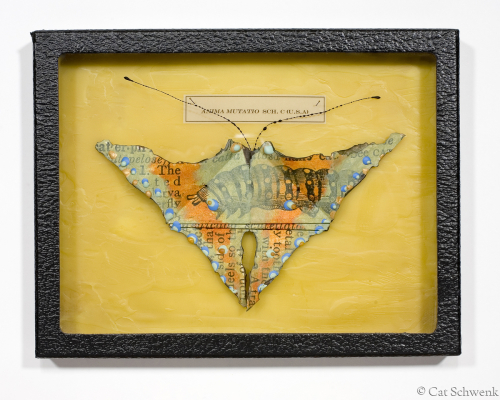 Folded & altered paper, encaustic, beeswax, wire, Riker specimen mount. 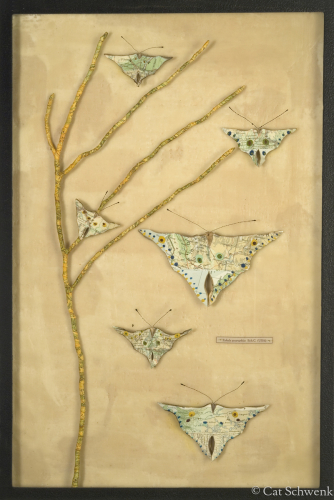 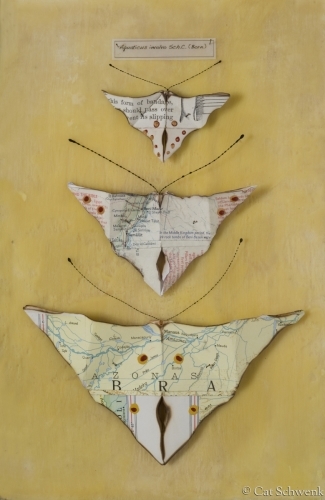 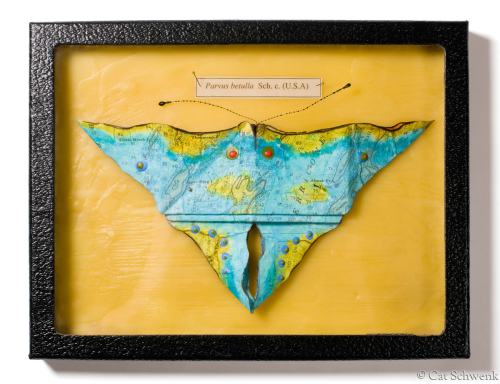 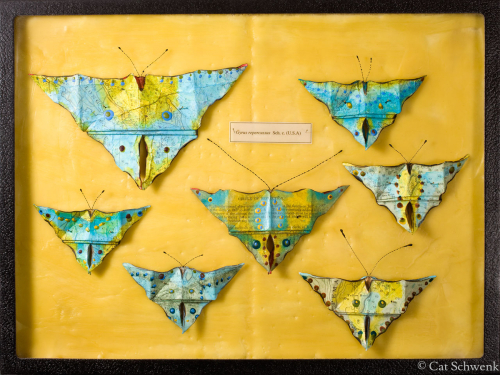 Butterfly Specimen box: folded and altered maps, branch, wire, beeswax, Riker specimen mount.